Though plankton communities are omnipresent in our oceans, their wavering dynamics remain obscure. 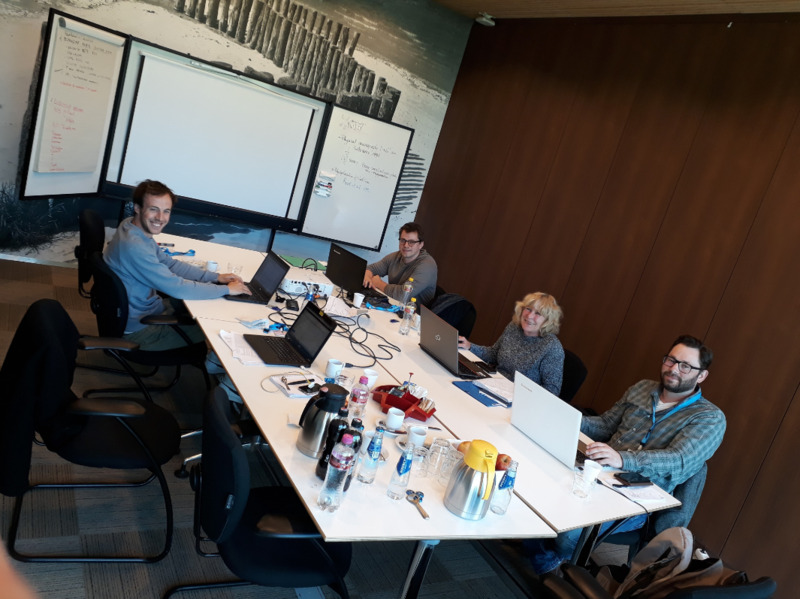 The international collaboration of the LifeWatch and JERICO-NEXT projects enabled to study plankton in the southern North Sea with state-of-the-art infrastructure at an optimal coverage. 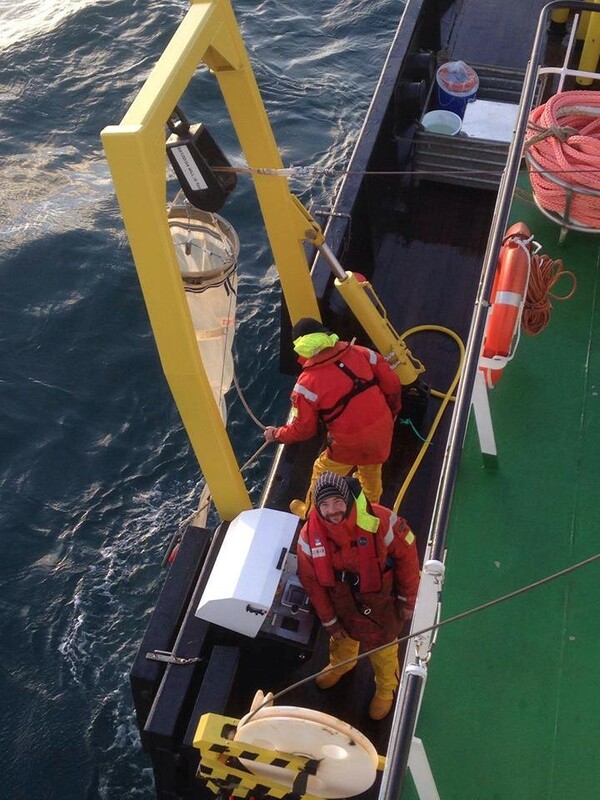 The LifeWatch and JERICO-NEXT projects joined efforts to study plankton communities in the North Sea. This collaboration of five institutes of three countries resulted in a unique scientific set-up. 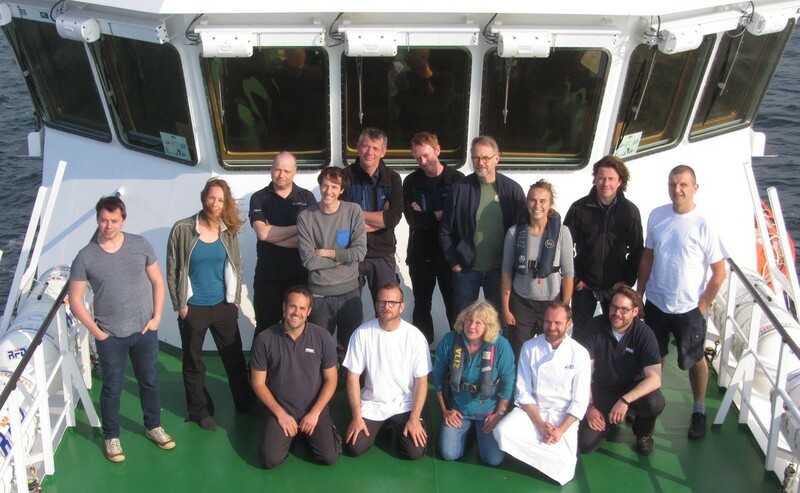 Joint research cruises in 2017 and 2018 allowed to study plankton dynamics in the southern North Sea with an innovative combination of research instruments. To understand phytoplankton dynamics and their environmental influences, it is necessary to observe changes in plankton distribution and composition at the appropriate scale. The objective of the LifeWatch – JERICO-NEXT collaboration was therefore to reveal the spatial dynamics of the phyto- and zooplankton community in the Eastern English Channel, Southern Bight of the North Sea and the Thames estuary. Automated in vivo approaches provide rapid estimates of abundance and pigment content. As these techniques allow to study of plankton communities at a range of scales, they can be applied to investigate the presence and extent of spring blooms and to distinguish different regions of the planktonic foodweb. In May 2017 a joint LifeWatch – JERICO-NEXT research cruise was organised on board of the RV Simon Stevin. The unique sampling set-up consisted of three flow cytometers and two Fast Repetition Rate Fluorometers that were coupled to the underway ferrybox system. This method allowed to quantify biomass on the one hand and to compare and calibrate the instruments on the other. In addition, these observations were complemented with Water Insight Spectrometer measurements, CTD profile data and samples for zooplankton, pigment and nutrient analysis at 44 stations. In April 2018, the sampling set-up was repeated with a single flow cytometer. This joint expedition was carried out on board of the RV Simon Stevin and put different instruments of the Belgian LifeWatch observatory to good use. First of all, the flow cytometer was the core device of the research. The LifeWatch flow cytometer was one of three used in the mission, which allowed for a unique opportunity to gather ecological information on phytoplankton functional types and to evaluate the instruments’ output. Moreover, this in vivo approach was combined with laboratory analysis of samples. Nutrient and pigment analysis from water samples could hence be combined with abiotic parameters measured by the underway system. Finally, taxonomic identification was performed with the FlowCAM and ZooSCAN for phytoplankton and zooplankton, respectively. 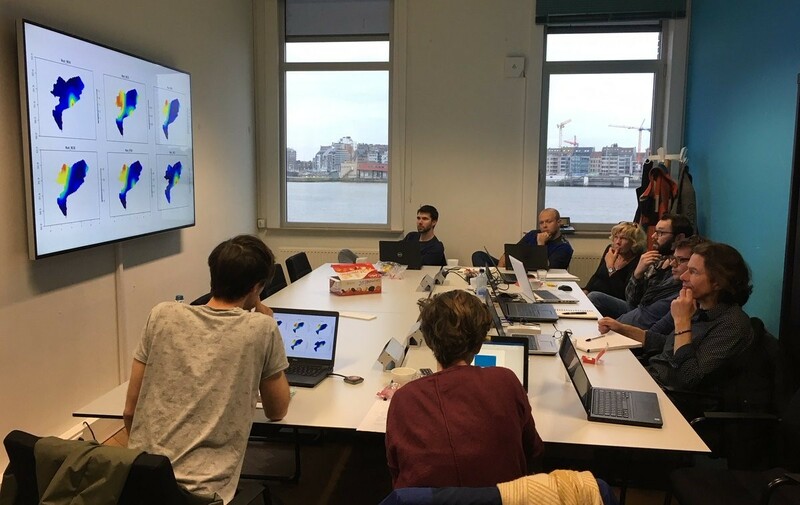 Dedicated data workshops with all partners were organized in December 2017 and April 2018 to conduct a joint analysis on both the biotic and abiotic data. A first exploration of the data exhibited the key role that nutrient influxes of river discharges have in plankton distribution and composition. Moreover, the semi-automated techniques revealed patchiness and sharp variations in the structure of these communities. The LifeWatch campaign data can be accessed and explored in the LifeWatch station data explorer and in the LifeWatch underway data explorer. Advanced data analysis of sensor data is also facilitated by the collaborative platform on the LifeWatch Rstudio server. This platform allows cooperation on script development and analysis in a performant environment with immediate access to the sensor data. Collaboration and communication for analysis approaches with an even broader audience is made possible by the LifeWatch Github. Artigas, L.F.; Karlson, B.; Brosnahan, M.; Claquin, P.; Creach, V.; De Blok, R.; Debusschere, E.; Deneudt, K.; Gómez, F.; Grégori, G.; Hébert, P.-A. ; Kromkamp, J.; Lefebvre, A.; Lehtinen, S.; Lizon, F.; Louchart, A.; Möller, K.; Poisson-Caillault, E.; Rijkeboer, M.; Thyssen, M.; Seppälä, J.; Stemmann, L.; Veen, A.; Wacquet, G. (2018). Automated in vivo approaches for characterizing HAB in coastal waters: the Jerico-Next European Research Infrastructure, in: ICHA 2018: The 18th International Conference on Harmful Algae: From ecosystems to socio-ecosystems, 21-26 October 2018, Nantes, France. Louchart, A.; de Blok, R.; Debusschere, E.; Gómez, F.; Lefebvre, A.; Lizon, F.; Mortelmans, J.; Rijkeboer, M.; Deneudt, K.; Veen, A.; Artigas, L.F. (2018). Automated techniques to follow the spatial distribution of Phaeocystis globosa and diatoms spring blooms in the Channel and North Sea, in: ICHA 2018: The 18th International Conference on Harmful Algae: From ecosystems to socio-ecosystems, 21-26 October 2018, Nantes, France. Debusschere, E.; Deneudt, K.; de Blok, R.; Vyverman, W.; Louchart, A.; Lizon, F.; Mortelmans, J.; Tyberghein, L.; Beauchard, O.; Rijkeboer, M. (2018). 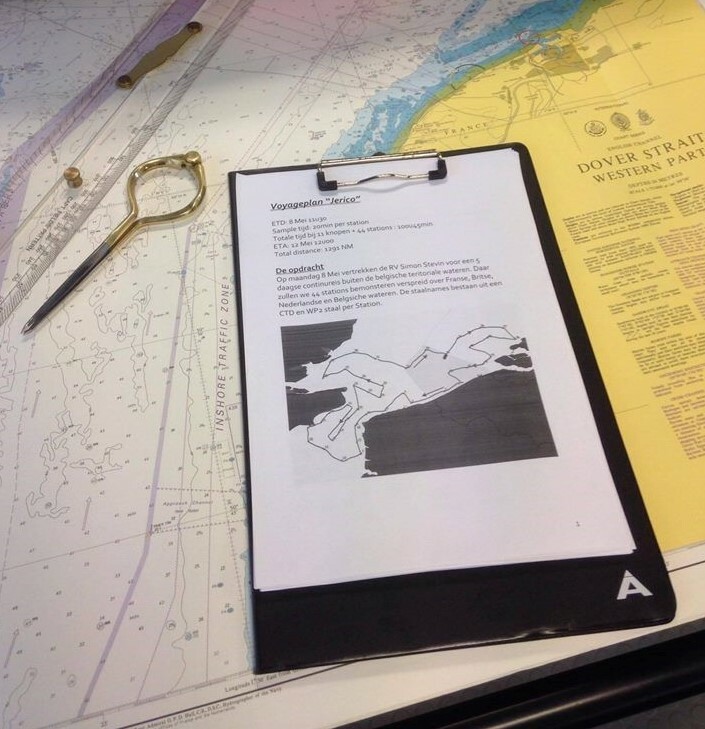 Results from campaign in the Channel-North Sea and Belgian Coastal Zone – RV Simon Stevin. Ppt presented at Third JERICO-NEXT Workshop on Phytoplankton Automated Observation, France, 19th - 21st March 2018. VLIZ/CNRS/NIOZ/RWS: Oostende. 28 pp. Some of the R scripts for analysis of the campaign data are available on the LifeWatch Github. JERICO-NEXT: The Joint European Research Infrastructure for Coastal Observatories website. The institutes involved in both the sampling campaigns and the data analysis were VLIZ and the Protistology & Aquatic Ecology (PAE) research group of Ghent University (Belgium), the Royal Netherlands Institute for Sea Research (NIOZ) and Rijkswaterstaat (the Netherlands) and the CNRS Laboratoire d’Océanologie et de Géosciences (CNRS-LOG) (France). JERICO-NEXT: Learn more about the Joint European Research Infrastructure for Coastal Observatories. RV Simon Stevin: Learn about the monthly sampling campaigns aboard the RV Simon Stevin. Flow cytometer: Learn about the flow cytometer of the Belgian LifeWatch Observatory. Data explorer: Access and explore the LifeWatch station data with the LifeWatch data explorer.